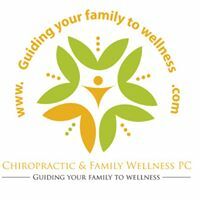 Chiropractic Adjustments are the methods used by chiropractors to remove nerve interference. In our office we utilize state of the art, researched, safe and gentle techniques that are effective in removing nerve irritation, nerve pressure and pain. We utilize techniques that do not make the “popping sounds”. We do have some patients who prefer the manual methods and we are happy to adjust them the way they feel comfortable. But we do offer softer techniques for those patients who request a gentler way. The chiropractic techniques we use have been shown effective in decreasing pain, Sciatica, removing nerve irritation, restoring spinal stability, activating spinal nerves and activating spinal muscles. They have been effective in removing spinal stiffness and improving joint mechanics. We also use rehabilitation techniques and core muscle stabilization to ensure that your spine is getting stronger and your problems won’t return.